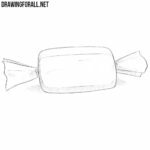 If you often visit our category called “Food” on drawingforall.net, then maybe you already know that it is very easy to draw fruits. 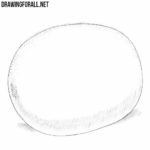 This lesson about how to draw a melon will also be very simple, as it will consist of three very simple steps. 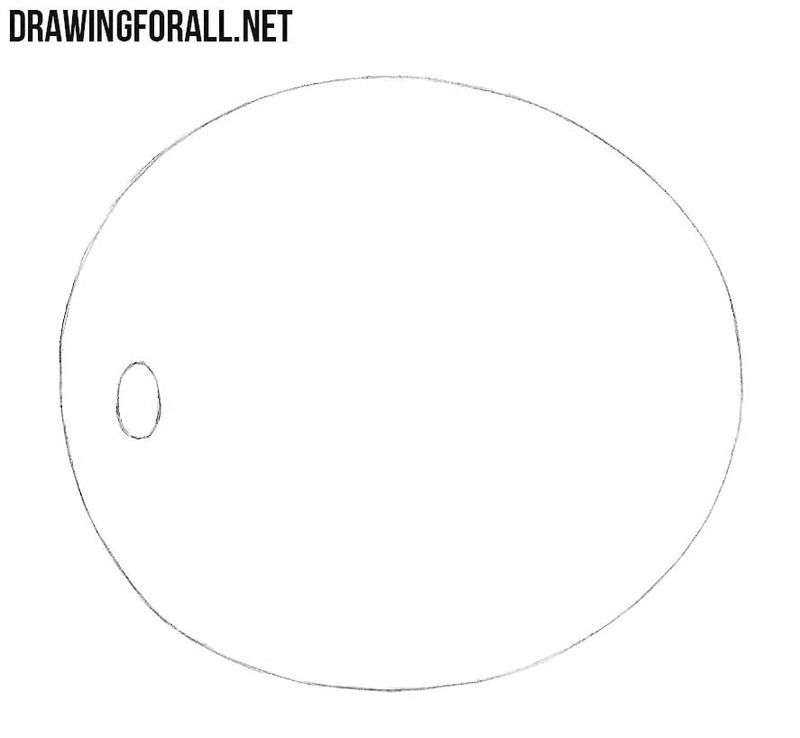 So, let’s begin our drawing of a melon with its outlines. So sketch out a usual oval, as in the example below. With the help of a small oval, we outline the location of the stem. Now let’s draw a texture of the melon. To do this, we outline the longitudinal and transverse short lines, as we did in the example below. These lines must be randomly arranged. Add the shadows using a dense hatching at the bottom of the melon. 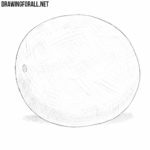 Also with the help of a dense hatching we will draw the cast shadow under the melon. 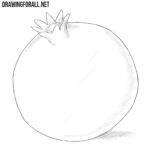 We love to eat and draw fruits, and so today we showed you how to draw a melon. 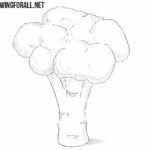 As we said, this lesson was very simple, just like almost all the lessons from the “Foods” category. But if this lesson was too simple for you, then visit our other lessons.